Also, Nexsign facial recognition lets authorized parties view sensitive documents but blurs the documents when an unfamiliar face tries to read them. The next step in mobile security is Nexsign. Unlike a password, which can be easily forgotten or duplicated, Nexsign verifies your identity with biological information like your fingerprint, face, and voice. The result? An authentication experience that’s simpler, faster, and even more secure. (Single sign-on) function which manages multiple applications and system. The use of Nexsign biometric authentication enables an assortment of actions from user devices, and its application ranges across many industries for both internal officers/employees and end users. Enable to login without password and to control PC remotely by mobile device. Provide simple authentication using various biometrics. Minimize time- consuming authentication process. Help users easily access multiple apps and enterprise system by Single Sign-on function. Protect confidential information by face recognition and Authenticate users assured by PKI-based authentication and biometrics. •Creates a scene inspection report and sends in the report with site pictures. Samsung SDS Nexsign solution provides passwordless experience for users with strong and simple biometric authentication. 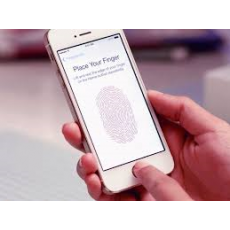 PKI-based authentication using biometrics and secure storage enables easy and secure user authentication on smart devices.